A holiday in Kuala Lumpur, a modern metropolis and capital of Malaysia, reveals a place where colonial influences, Asian traditions, and modern aesthetics come together in urban architecture and street layout. The grandeur of the ultramodern downtown area--with an abundance of shops, cultural attractions, and entertainments--remains neatly complemented by historic districts offering immersive cultural experiences and pristine religious sites. Green spaces like city parks and wildlife centers offer a welcome relief from the urban rush, while day trips to nearby temples, natural features, and smaller settlements offer good alternatives to adventurous visitors on a tour of Kuala Lumpur. Kuala Lumpur is in Wilayah Persekutuan. 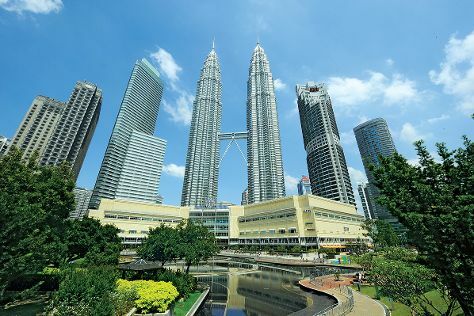 Make Kuala Lumpur central to your Malaysia travel plans using our Malaysia planning site .